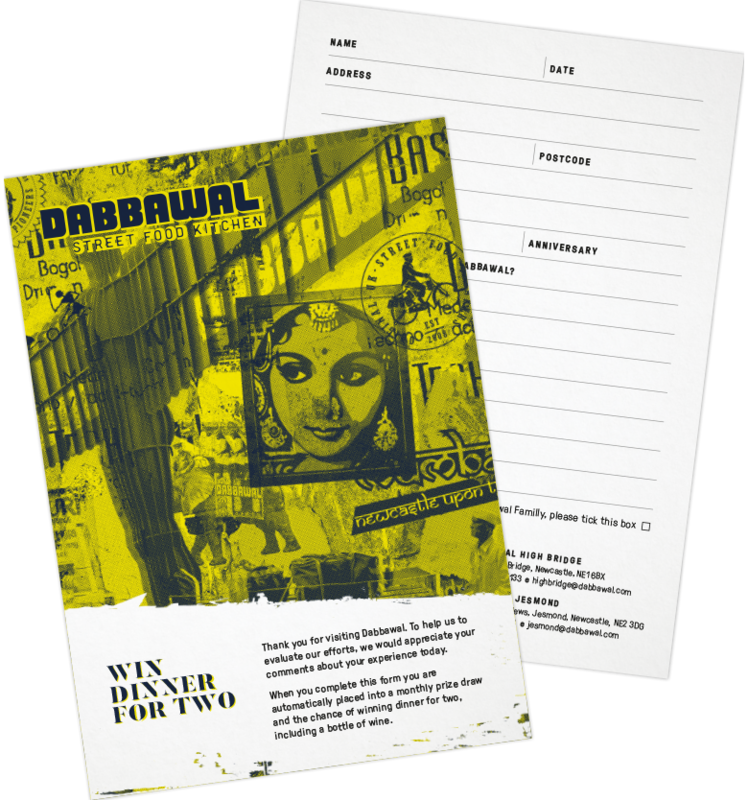 Multi award-winning Street Food Pioneers Dabbawal approached us to help them refresh their brand. 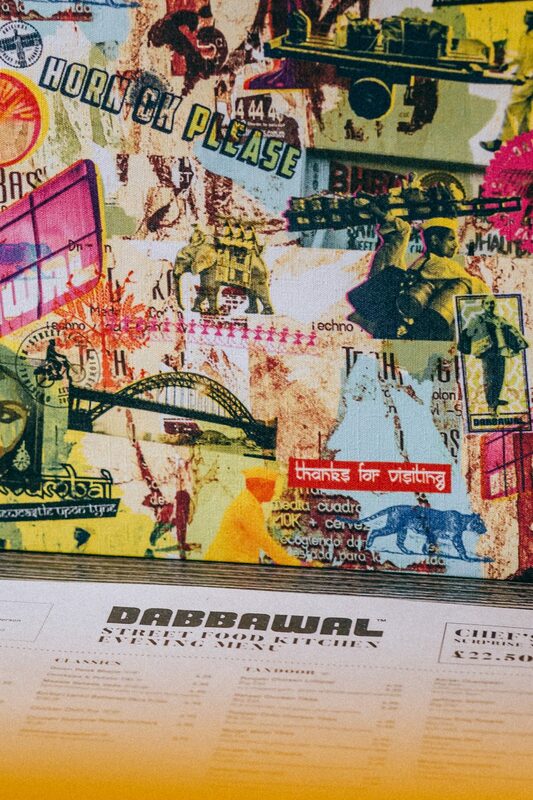 Winners of the British Curry Awards 2015, Dabbawal have two popular restaurants in Newcastle. 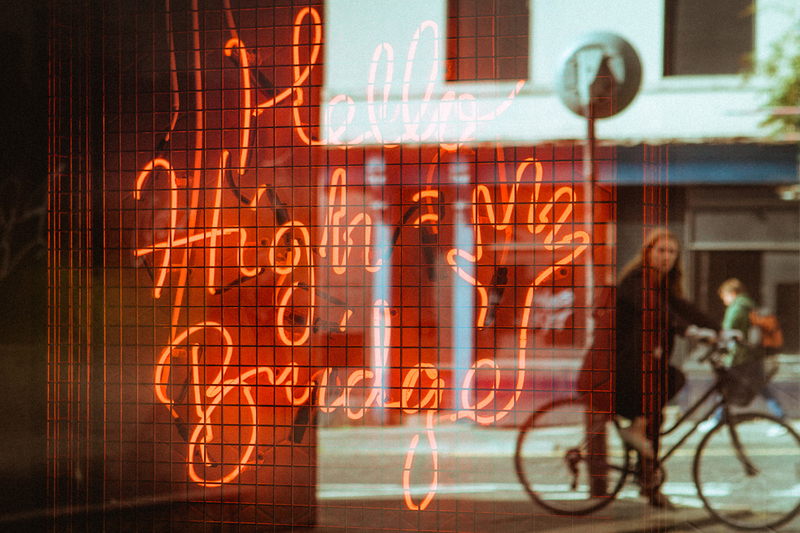 One in High Bridge, in the heart of the city, and the second in the leafy suburb of Jesmond. 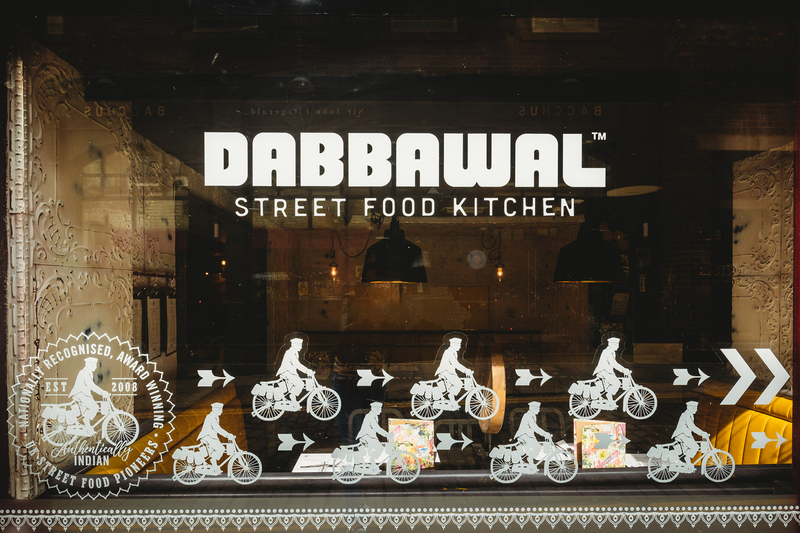 Inspired by the famous Dabbawala lunch delivery men of Indian cities, they created their urban kitchen concept long before the craze for street food hit the UK. 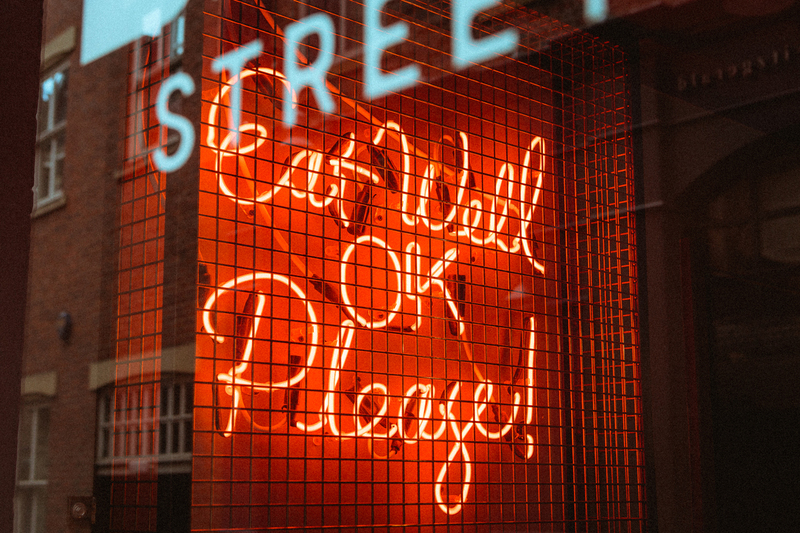 And they’re still breaking the mould, serving up unique dishes derived from traditional street favourites, in busy kitchens which buzz with conversation and comings and goings – just like home. More a brand ‘evolution’ than a rebrand, we started by developing a bold new colour palette, also refreshing the core logo. 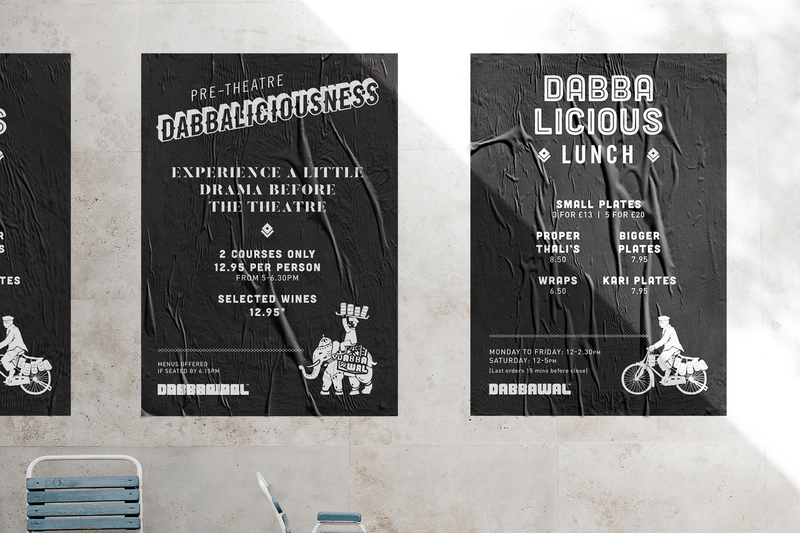 But to keep Dabbawal at the cutting edge, we decided to develop a revolutionary ‘unbrand’ style. Not just one logo, but a set of logos. And rather than one business card, we created a range of them. Different colours and styles, yet clearly from the same brand family. 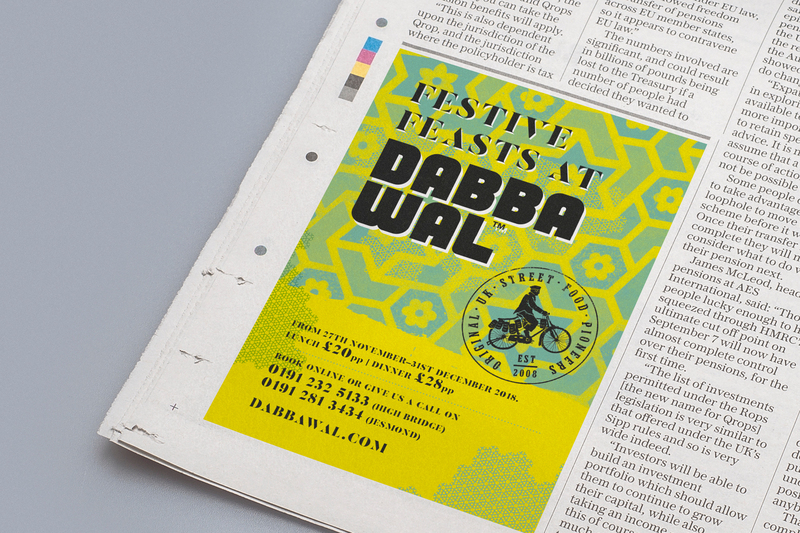 We also created a suite of assets including press ads, in venue graphics and a complete website overhaul. 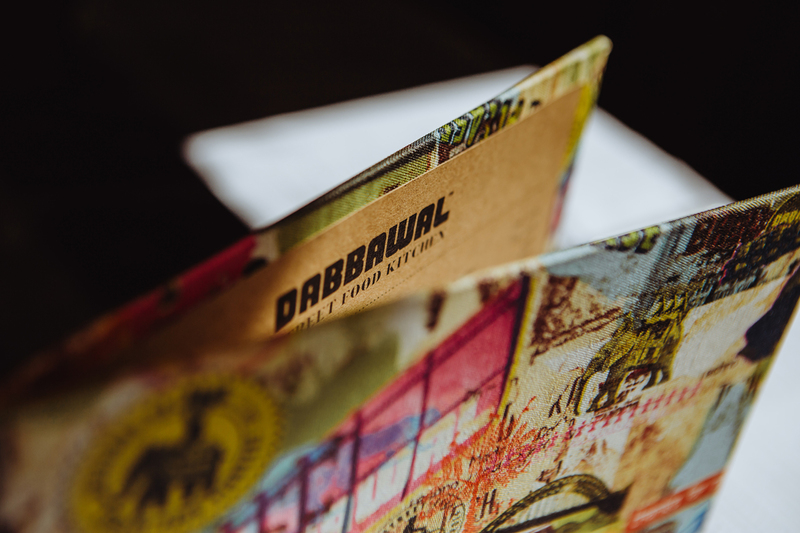 The Indian sub continent is bursting with vibrant colours, and we wanted Dabbawal’s brand to reflect that. Zingy lime greens, hot pinks, acid yellows and dark purples. Weaving layers of equally bold pattern within the mix, and playing with unexpected colour clashes which would literally pop from the page. 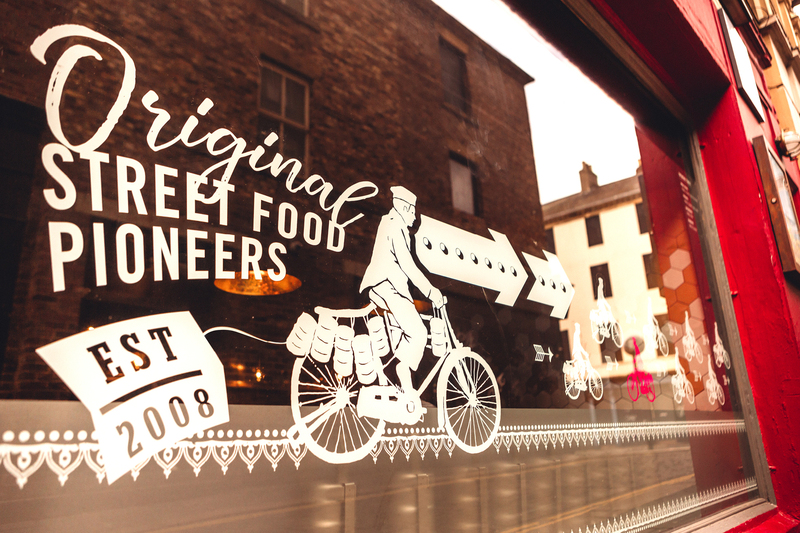 A key deliverable for us, was to create a roundel stamp that proudly heralded the brand’s role as one of the early pioneers in the street food revolution. 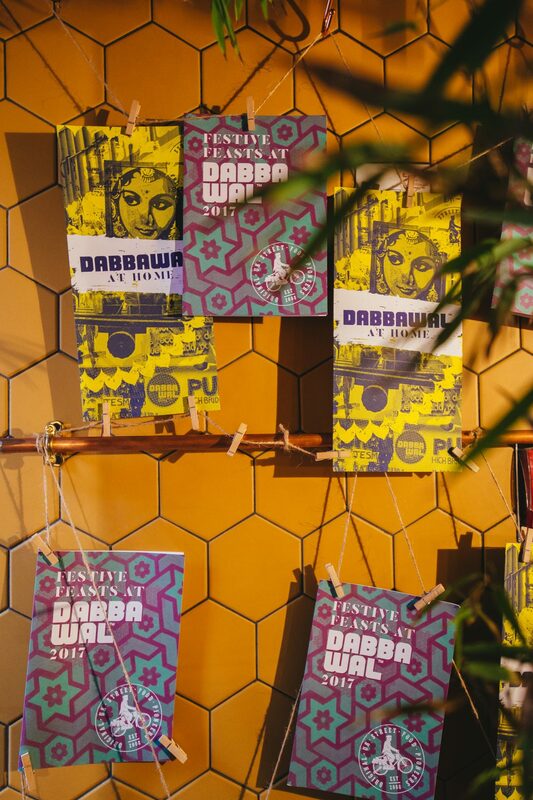 We developed a few ideas, including characterful themes of Indian Elephants and Dabbawalas, as well as a nod to the Angel Of The North. And in keeping with our new brand unbrand direction, they decided to use them all! We also have re-imagined some areas completely and sprinkled a little bit of new thinking to others. 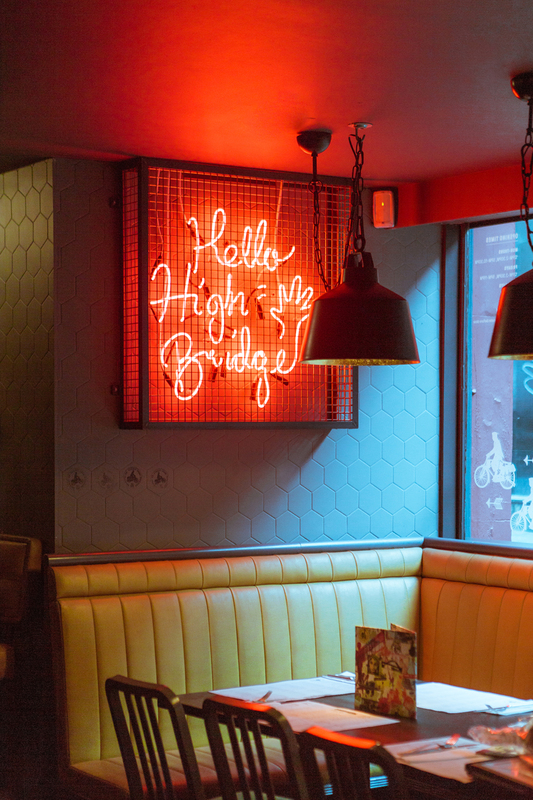 For High Bridge, a dusky new paint palette of muted tones allows caged pink neons and colourful new Dabbawal montage wallpaper to really pop. 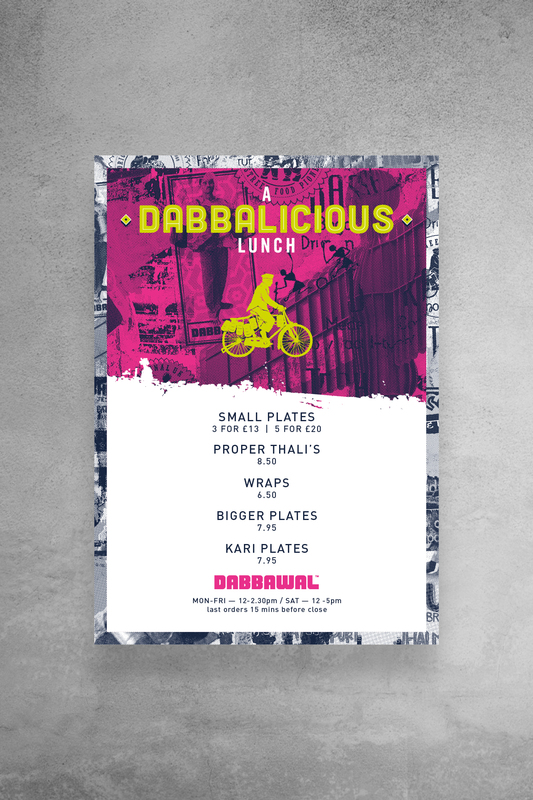 dabbawala, n. also dabbawalla, dabbawallah, 1a. 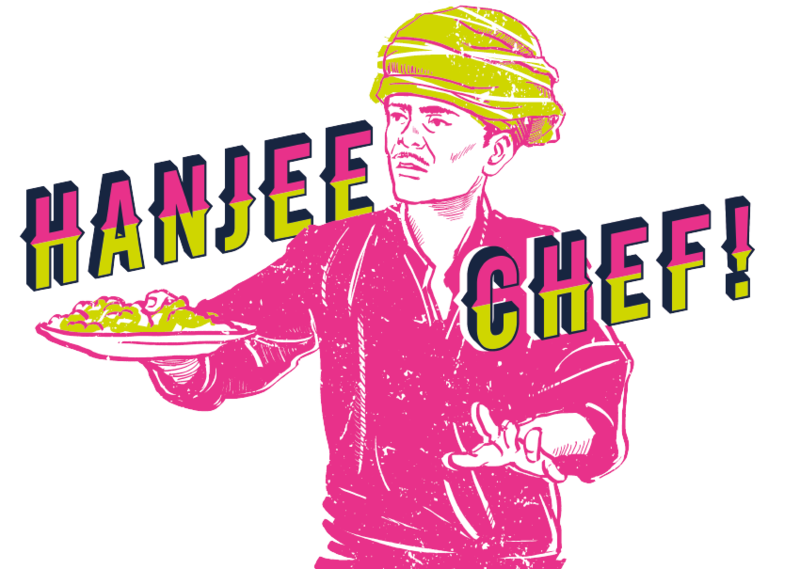 One who delivers delicious home cooked food to hardworking people in the city. We also developed a range of wallpaper and pattern designs that can be used in multiple ways. Some will be used on takeaway packaging and table top presentation. Others will be used as in-venue graphics, and can be used online as background patterns and overlays. 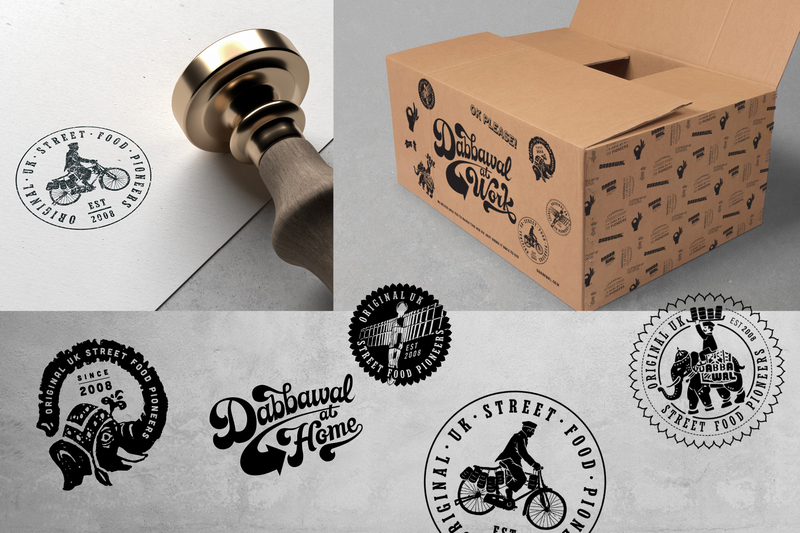 All of the designs created have effectively formed an entire gallery of assets which can be used in marketing collateral for many years to come. 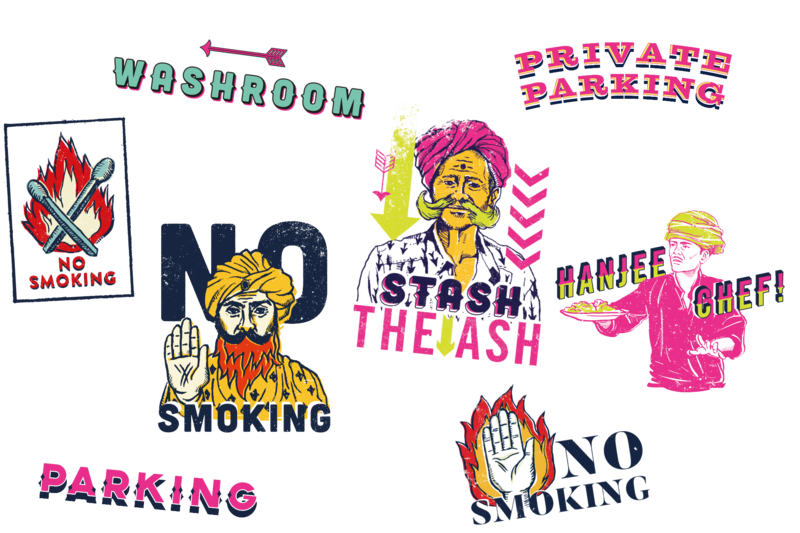 We really enjoyed shaping such a fun and multi-layered brand. 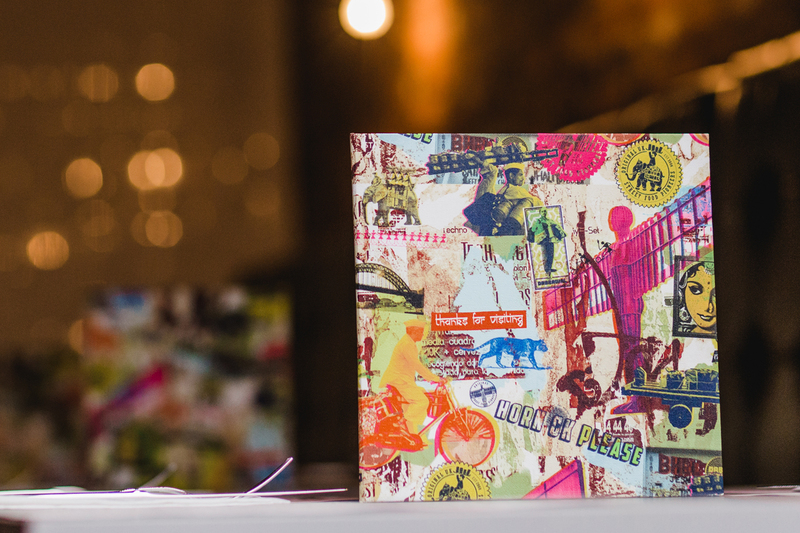 There is a lot of flexibility in the new brand to go a little off piste here and there, which we took full advantage of in the design of quirky promotional materials, postcards and press advertising. 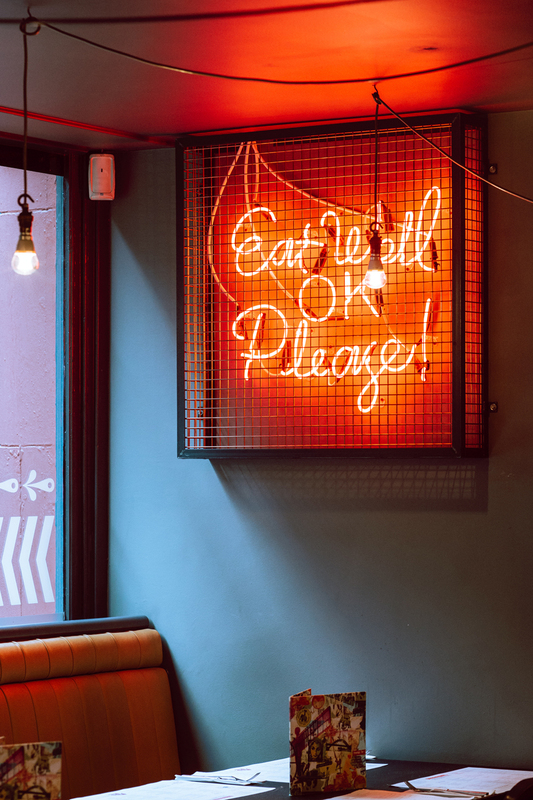 We wanted the bold, colourful vibrancy of the restaurants to be reflected online. 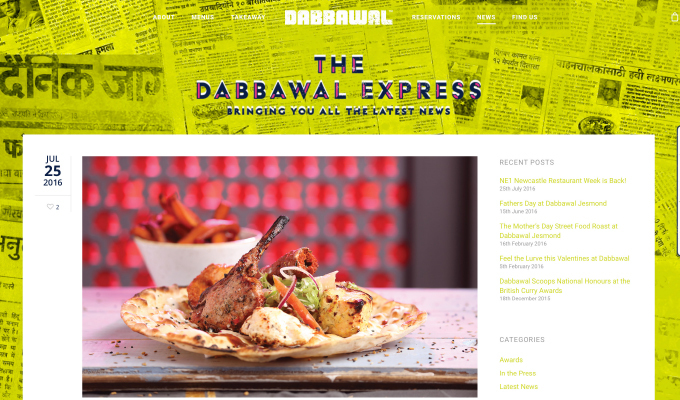 Starting afresh, we built a new responsive WordPress website. 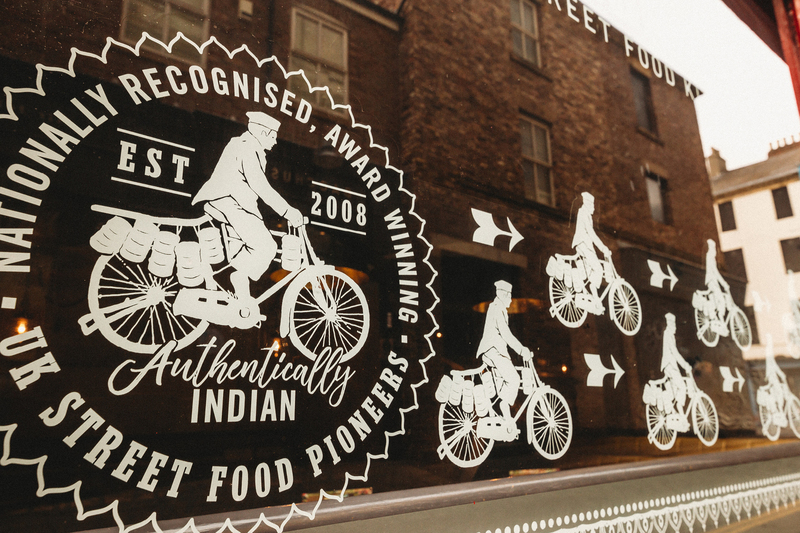 Taking inspiration from Indian signage, we wanted the site to be playful with an approachable and friendly tone of voice, making it fun to explore. 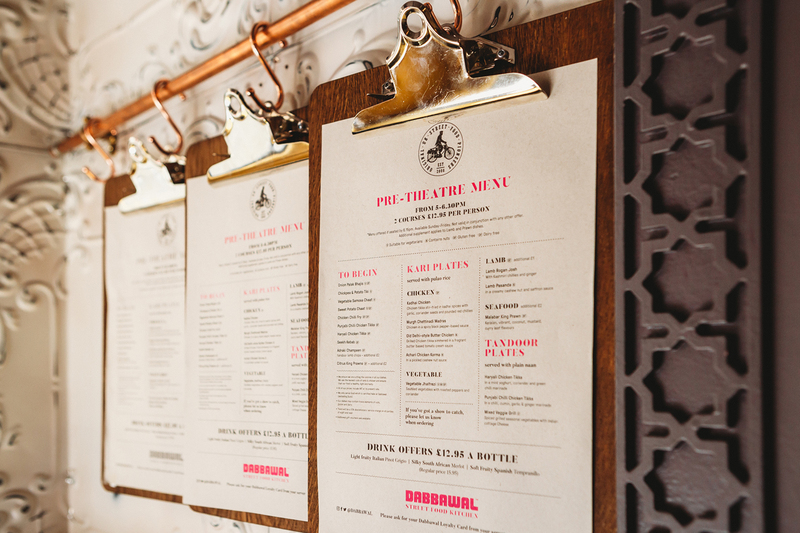 The menus are clearly and stylishly presented. 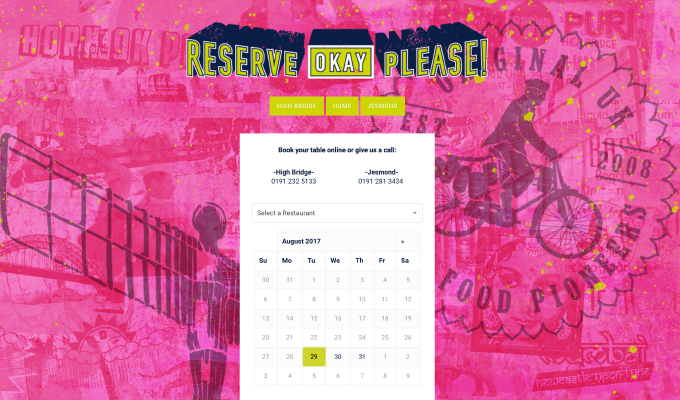 A bespoke reservation system that we developed to be integrate seamlessly into the site making it easier for our customers to book a table. 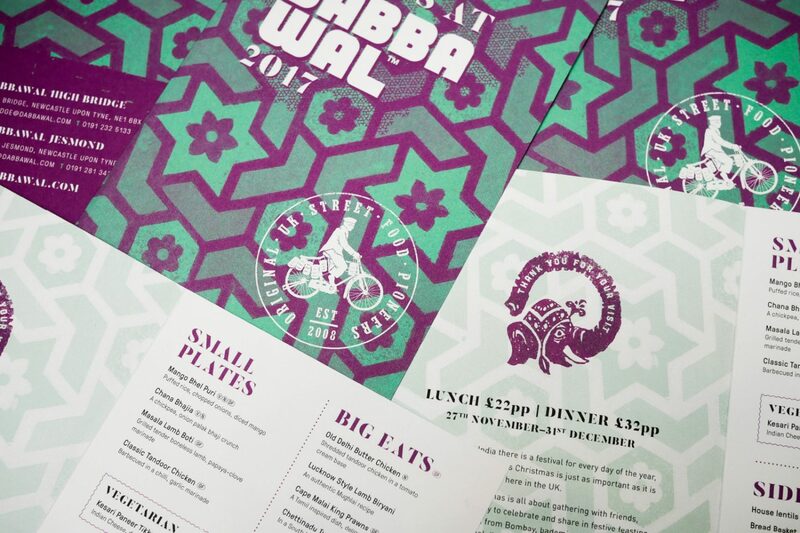 We love designing menus, particularly when you have a brand that is brave enough to run with some of the crazy ideas and designs our team came up with. 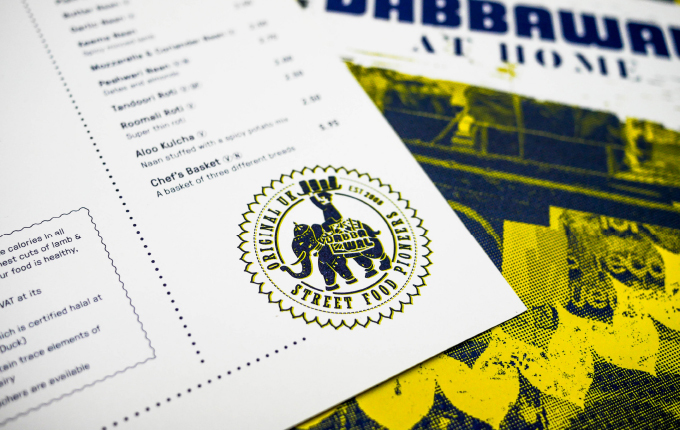 Menus full of elephants, Indian mash up montages and cheeky Dabbawalas. 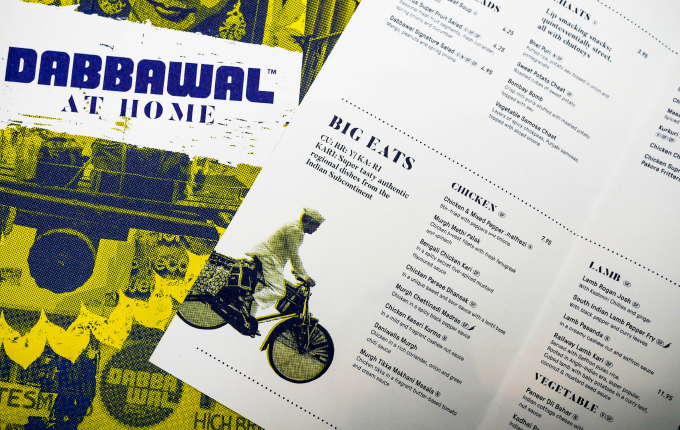 We created a whole raft of different menus, from one tapping into the current trend for table-top disposable craft paper menus, to large size colourful Dabbawal At Home takeaway menus. Some single page lunch special menus and a beautiful book-bound hard cover drinks menu. 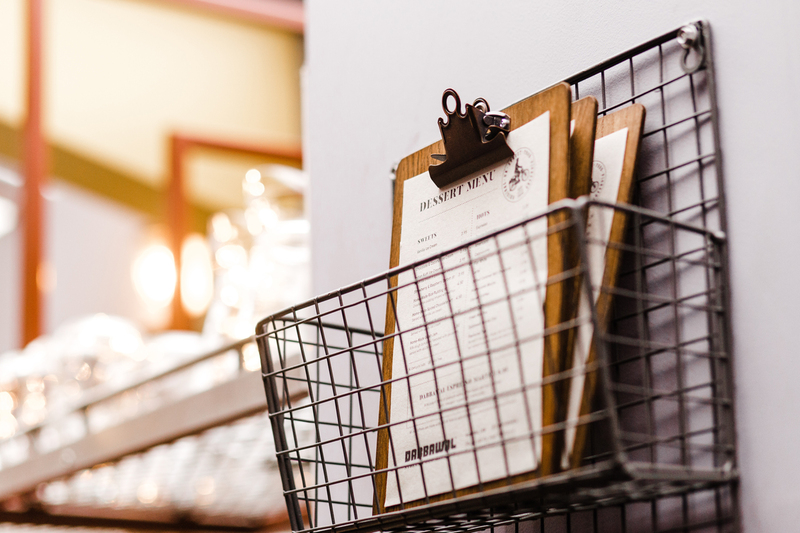 We helped them design the rusty metal corten stencil sign that welcomes you into the restaurant.